The San Francisco-based transportation network company offers Singaporeans a flexible and potentially affordable means to get from one place to another, and it even provides a source of income for the drivers registered in the Uber network. 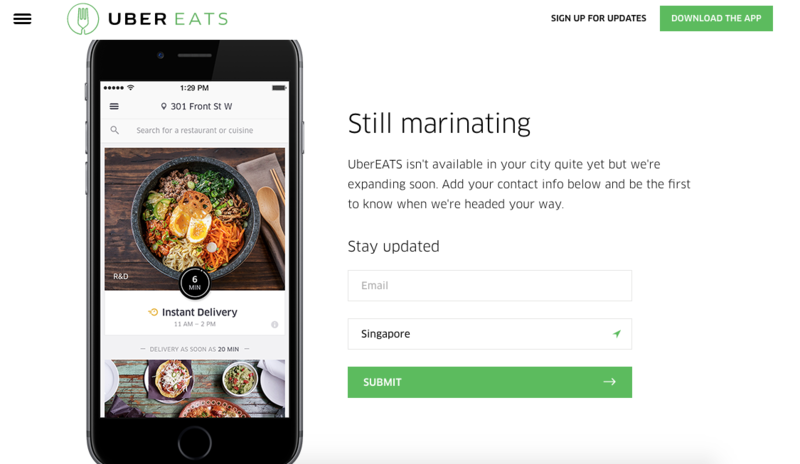 With Singapore being said to be a choice testing ground for Uber’s new initiatives, it is surprising that UberEATS, a standalone app that provides a food delivery service like current players in the market Foodpanda and Deliveroo has yet to be launched here. A food delivery service by Uber is not something new – UberFRESH, an in-app feature which delivered meals (lunches, dinners and weekend brunches) was piloted in a few cities, namely in the United States, in 2014. No service fees are charged, and requestors only need to pay for the meals they order. A main con of the service however, was that there was a fixed menu of items available each week – bad news for picky eaters. In December last year, UberEATS was launched in Toronto as a standalone app, in hopes to test the water of this service with hungry Torontoians. The app was extended to the U.S. in March this year, and promised that users can “order from their favorite local restaurants, seven days a week, day and night”. As of today, the service is extended to residents in 14 cities – mostly in the United States. UberEATS offers a menu that is updated daily, and as mentioned before, on every day of the week. However, with these additional perks comes a price, literally – a flat rate of around US$5 (SGD$6.80) is charged for each delivery, regardless of number of meals ordered. 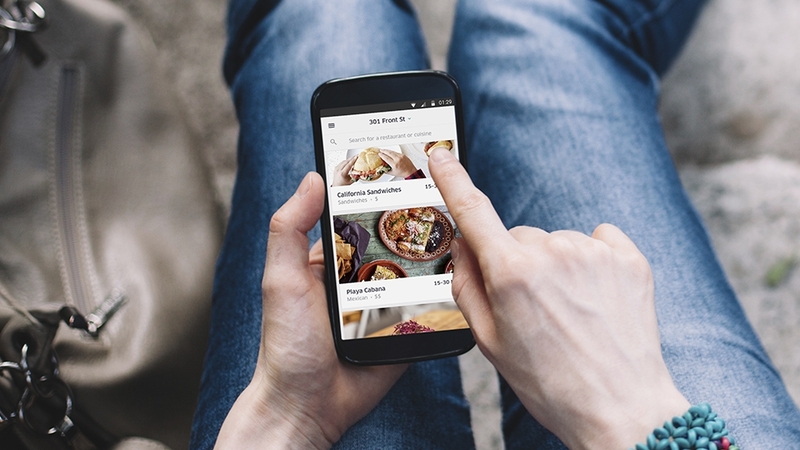 Meals are also not customisable, and it is probably to allow for more efficient delivery of meals – something UberEATS prides themselves upon. Unlike other delivery services, pickup of the meals is also only done ‘curbside’, meaning that users need to go to the nearest roadside to pick up their food. According to a report by The New Paper, as many as ten local restaurants have already been approached by the UberEATS team. When contacted, Uber kept a tight lip, and simply stated that it was “pleased that word is sure spreading fast about UberEats” and that “details will be announced soon”. A quick check on the UberEATS website revealed that the service isn’t available on our sunny and hungry island yet, but those excited for the launch may sign up for updates here. A little bird told us that sightings of an UberEATS delivery person has been spotted around our office building the past few days, so it could be very soon that we have a wider range of food options. Local Uber drivers can look forward to the benefits of this service as well. By taking on orders around the same area (and forsaking the picking up of passengers) – these requests are combined into a single trip and the driver gets the delivery fees for all of them. Let’s just hope that there will still be an abundance of Uber drivers doing pick up during mealtimes!